With epoxy powder coated metal frame and 76mm castors capable of transporting loads up to 100kg (evenly distributed). The 80mm deep polyethylene trays are removable. The trolley can be dismantled for transport or storage. 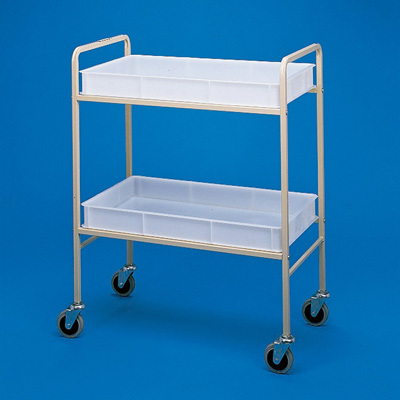 For Use With (Application) The trolley can be dismantled for transport or storage.